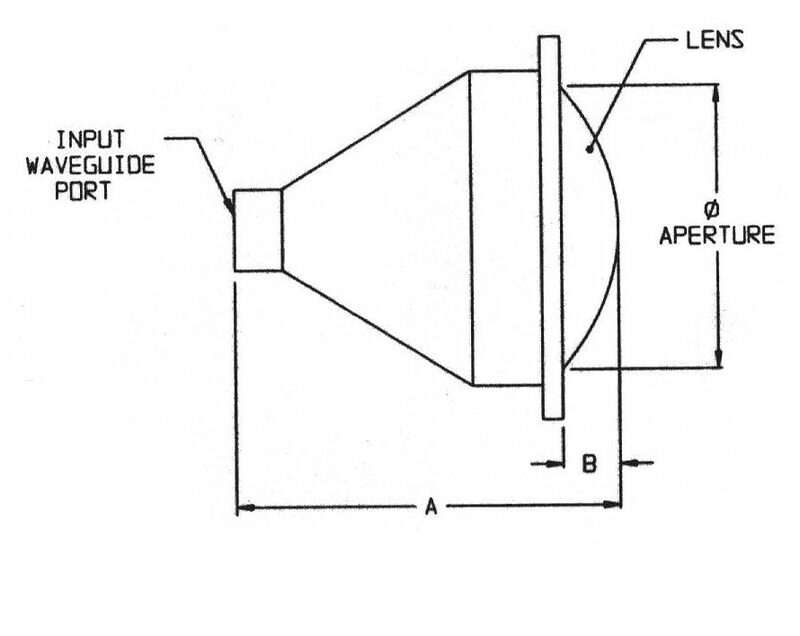 M.E.C.’s horn lens antennas consist of a Rexolite lens, fed by a corrugated conical horn in an aluminum housing. The inner surface of the lens contains surface matching grooves to reduce VSWR. The corrugated horn produces symmetrical illumination of the lens with low spillover. The resultant far-field pattern has sidelobes of approximately -25 dB and cross-polarization at -30 dB. Beam efficiency is greater than 92%. Typical VSWR is 1.3:1. These parts are mechanically rugged and can withstand vibration, temperature extremes, wind, and rain. Any polarization and connector interface can be provided with the application of appropriate transducers. Dual frequency performance can also be obtained using a diplexer (e.g. 10.7 and 37 GHz or 6.8 and 10.7 GHz). (1) The above table is merely a sample of M.E.C.’s available horn lens antenna designs. (2) Contact M.E.C. 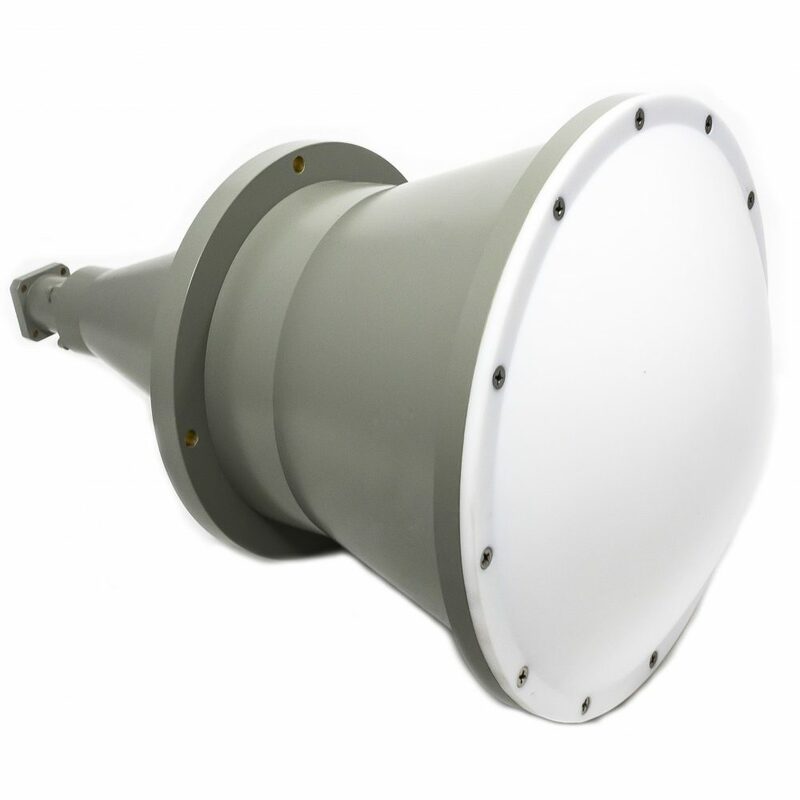 with your specific requirements, stating information such as frequency band(s), size, gain or beamwidth desired, polarization, and any other specs (i.e., VSWR, power, etc. ).